"I don't see how you can not take those odds against a young man in the form of his life." There are times when you think that Bryson DeChambeau has stepped straight out of the pages of a 1920s film - The Great Gatsby or something like that. With his flat cap, his peculiar style with its rigid stance and locked wrists, the 24-year-old looks every inch the eccentric and nothing like the identikit modern golfer. None of it fits with the procession of American kids making their way through the college system to join the PGA Tour, too many of them stepping straight from the pages of the coaching manual. Maybe that's why after two wins on the bounce in the mega-money world of the FedEx Cup play-off series he's still nowhere near being favourite for the third in the sequence, the BMW Championships in Pennsylvania this weekend. Instead he's as long as [20.0] to complete a hat-trick of victories and a hugely generous [2.82] just to finish in the top 10 . I don't see how you can not take those odds against a young man in the form of his life. I accept the argument raised by Steve Rawlings in his usual excellent preview that it's asking too much of anybody to keep his levels that high across a third week. But DeChambeau has youth and enthusiasm on his side and should be inspired by all he's done in the last couple of weeks rather than fatigued. He really deserves far more credit and attention than he's getting - even his elevation to the USA Ryder Cup team seems to have been overshadowed in the coverage by the return of Tiger Woods. The pair will make a formidable combination both in fourballs and foursomes and seriously add to the chances of the Americans retaining the trophy at the end of this month. DeChambeau will go into the BMW with an astonishing 2,328 point lead in the FedEx Cup standings ahead of Dustin Johnson, meaning he is already guaranteed to start the final event, the Tour Championship, as number one, meaning winning the whole series is now in his own hands. He's been mocked, of course, for taking the principles of his physics degree from the Southern Methodist University in Dallas and applying them to the golf course. Hence the locked wrists, the irons all cut to one length, and that peculiar stance designed to get a consistent angle of contact between club and ball. "I've always been a guy that's been weird and unique relative to everyone else" he said after his latest victory and that simply tells you he has huge confidence in his own way of going about things. It's like he's telling everybody that they've always been doing it wrong, and nobody likes that. 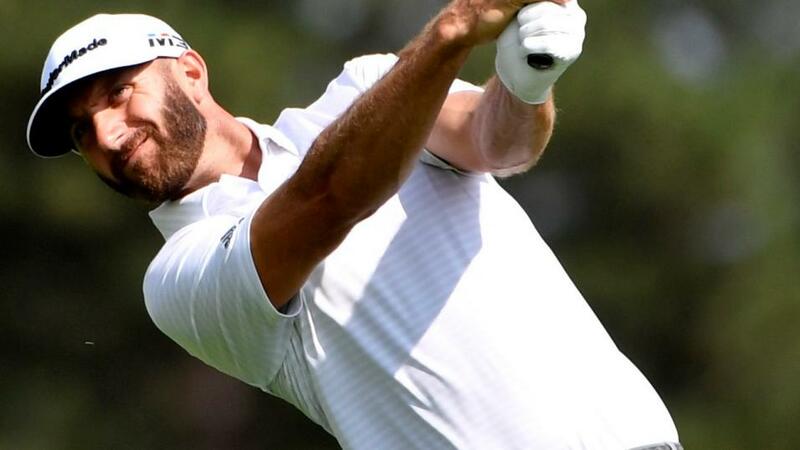 You suspect there were a few smirks as he struggled in this year's Majors, with a tied 25th at the US Open his best finish, and a missed cut at the USPGA. But from there he's worked, and put right whatever was going wrong. There should be a 10 million dollar reward in store if he goes on to win the FedEx Cup - he's currently [3.05] to collect that prize. He might look like a 1920s aristocrat, but we could be about to see very serious 21st century golfer.